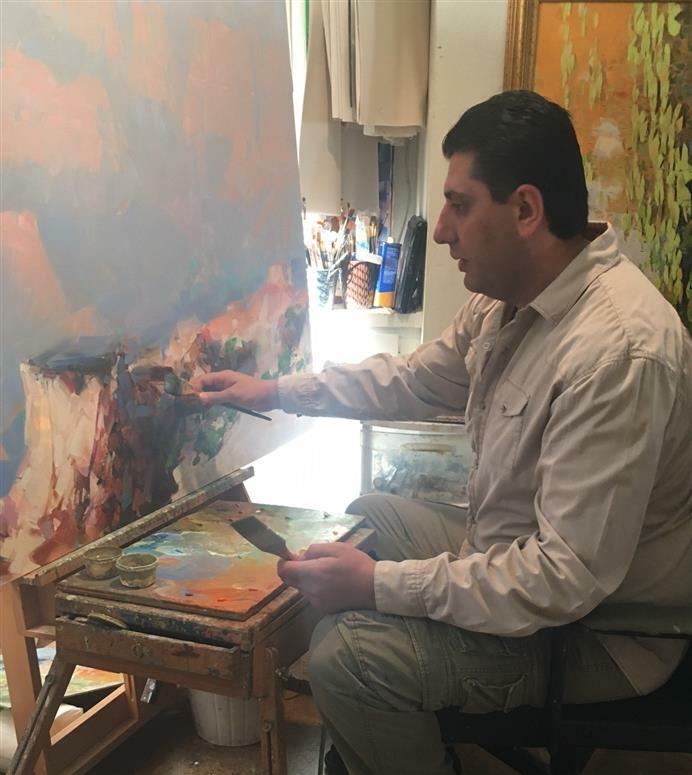 Vahe Yeremyan is an Armenian-born painter who offers a contemporary perspective to the 19th century masters of impressionism. 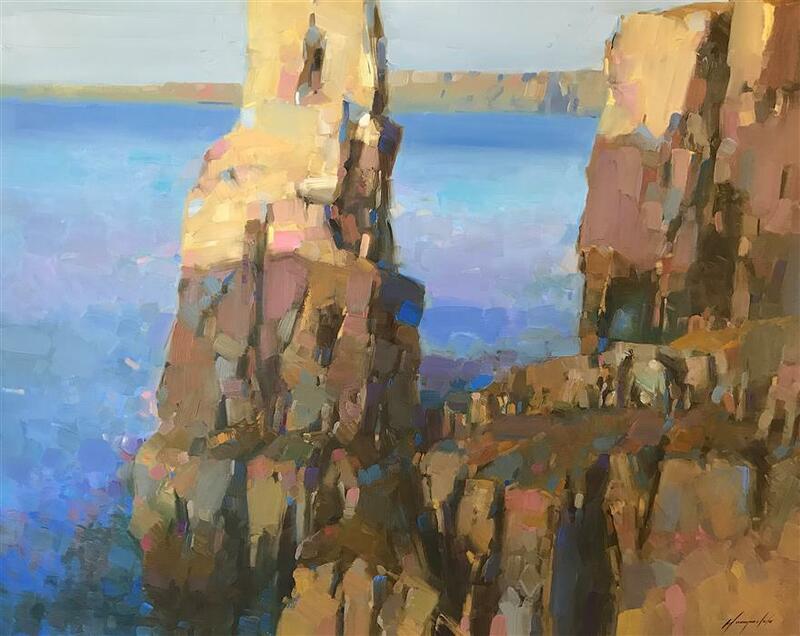 His land- and cityscapes convey the delicate and sublime beauty of both the natural and manmade world. 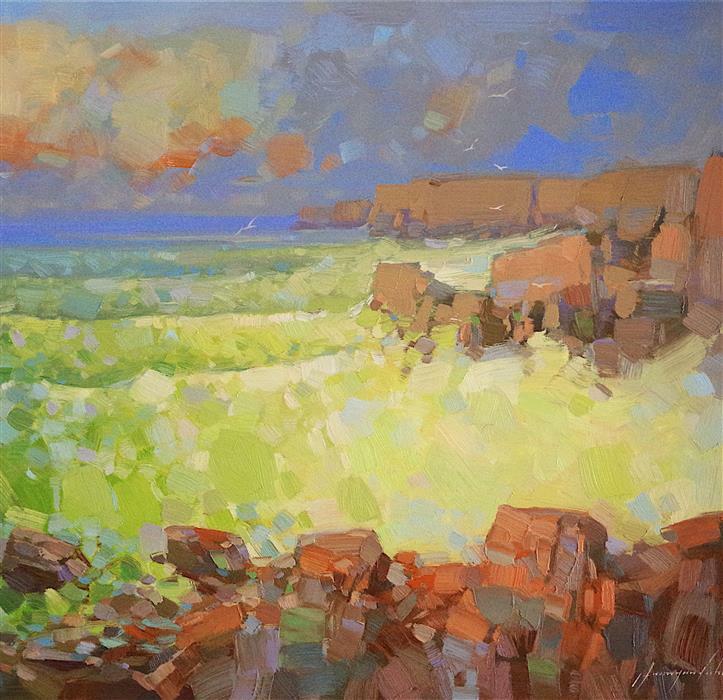 To evoke a sense of movement and changing light, while still conveying recognizable forms, he juxtaposes colors and shapes. 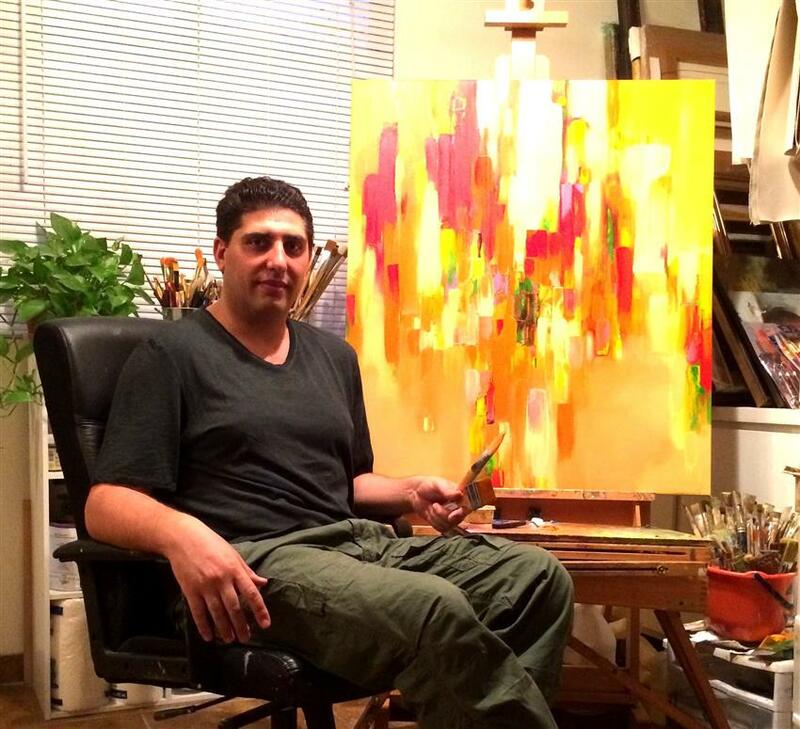 Vahe describes art as an indelible part of his identity. 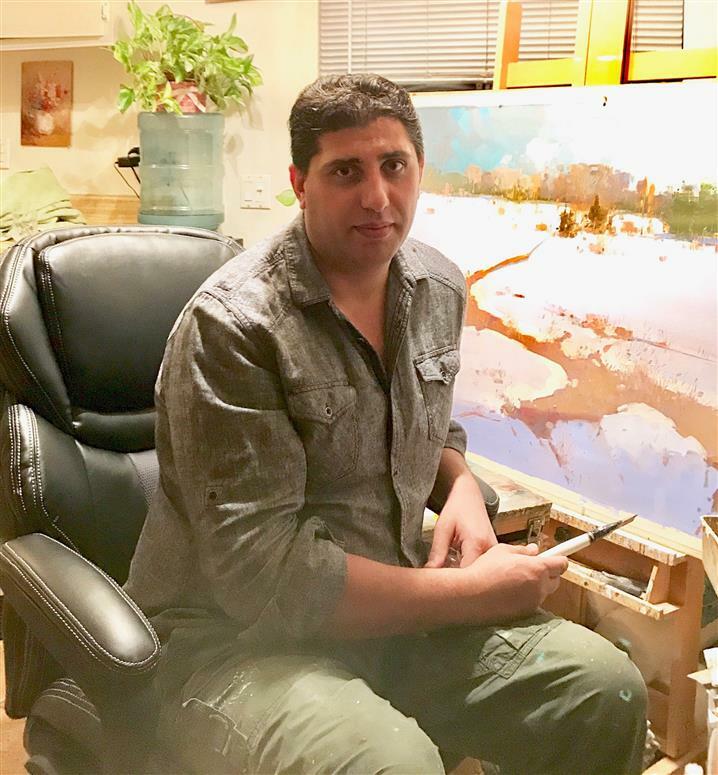 He is formally trained and has a bachelor’s and a master’s degree in painting and a PhD in Fine Art Therapy. Thank you for the "Grand Sunset!" We love it in our home and whenever we look at it we smile. It is such a peaceful, happy and gorgeous piece of art! I am very happy to know that you liked the painting. P.S. Thank you for valuable advice, I would take it into consideration. Sincerely, Vahe. This was beautiful but the colors didn't work in my room so I exchanged it for "Early Morning Grand Canyon" which I received today. I love it. Thank you. 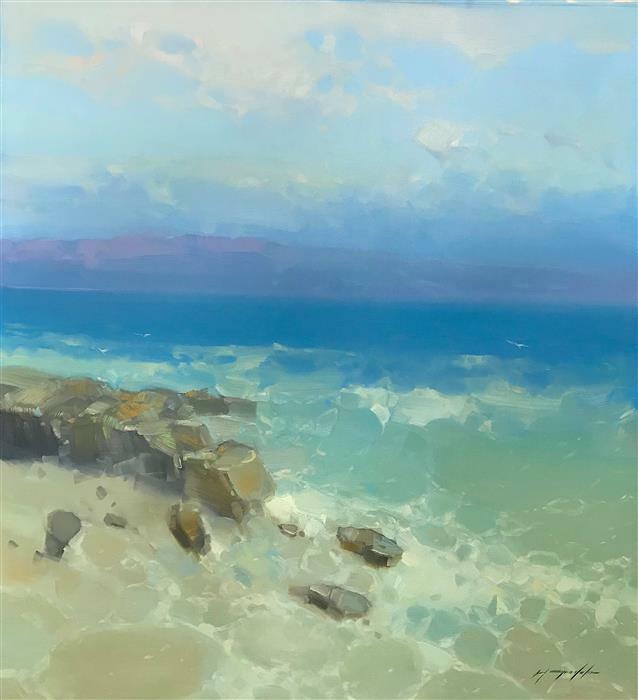 Just one point I would like to make - it would be nice if you painted the sides of the canvas, as well because then the buyer doesn't have to get it framed. I have 3 of your pieces. There are several more that I want. I just love your style! 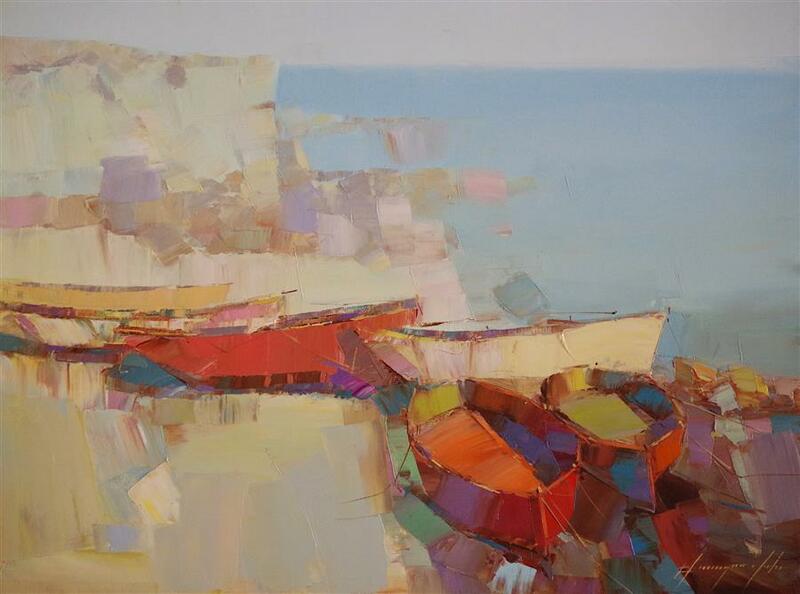 I love Vahe Yeremyan's paintings! I would buy all of them if I could! "Spring Field" is gorgeous!! Thank you Vahe! I purchased the BEAUTIFUL "Spring Field." It is more gorgeous than I even imagined. I feel as if I could walk right into the scene. Thank you Mr. Yeremyan. I enjoy it every day! You are most talented. I'll be looking for my next purchase! Dear Mr. Yeremyan, I haven't hung your painting yet. I am going to get it framed. Probably a simple walnut frame. I like your style very much: the sharp, detailed points of lines, and the quick brush strokes are a very nice juxtaposition. There is another oil of some birch trees; I almost couldn't decide. But these strawberries spoke to me. Thank you. Simply love your work Vahe! The colors, texture, composition, and movement is wonderful! Truly gifted. Your work is beautiful. I can't wait to acquire a piece for my home. Your still life painting of Apples is wonderful! I am so enjoying having it in my home. Thank you for enriching my world with your art. [Water Lilies] I love this piece. It makes a great addition to my home. I particularly enjoy how the paint was scraped away in part to make the overall affect of light on a pond. Absolutely fantastic work. I especially like the almost marble or granite like pattern of the sky, the really well done tree trunks and branches, and the selection of colors. 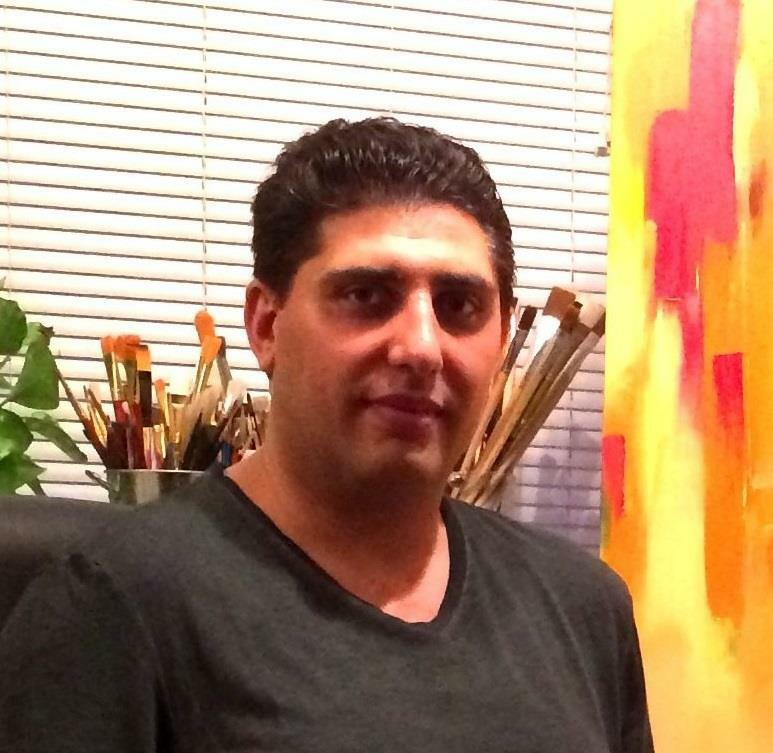 Hello Yahe, I am also a Ugallery artist and I just wanted you to know I think your artwork is exceptional! 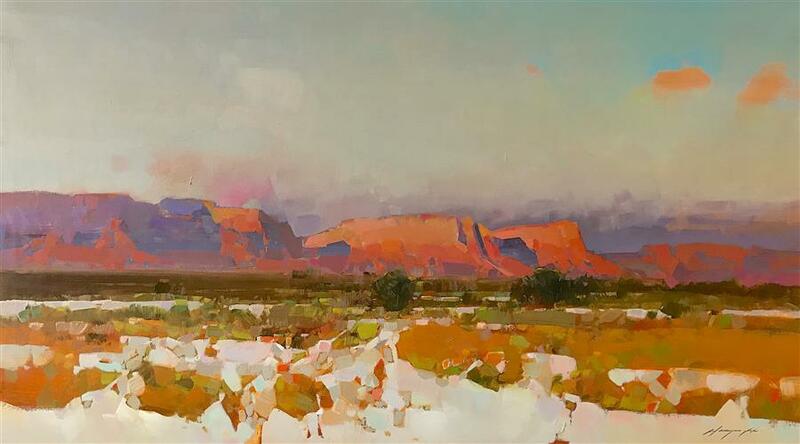 Great color harmony and brushwork.